Advocating for yourself or a loved one is something you do daily, whether you realize it or not. How you communicate with doctors, teachers, or community partners about what you need to be successful is advocating. You also advocate by ensuring your voice is heard by those who make public policy. 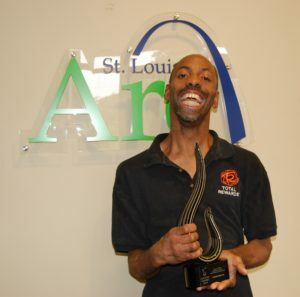 The St. Louis Arc encourages all members of our community to advocate for what is right. The term we like to use is Arc Advocate. To become an Arc Advocate contact Ann Mangelsdorf, Assistant Director of Family Support & Advocacy, at 314-817-2275.